Wherever chamfering, deep-drawing and forming is taking place, where paper is being cut or plastic is being granulated and recycled, carbide is the optimum material for the tools being used. 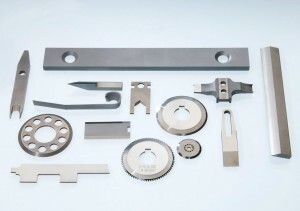 Compared to tool steels, carbide has significantly higher compressive strength and wear-resistance. These properties improve the cutting edge stability and ultimately ensure better dimensional stability of your products. The crucial factor for the service life is the selection of the right type of carbide for your tools and components. With this, in addition to precision, exact realisation of the cutting edges, radii and transitions are relevant. With our state-of-the-art machinery, we ensure an optimum component and therefore, an optimum result with your products.